The Costa Del Mar Ballast is a sporty rimless frame, perfectly lightweight to go unnoticed when out on the water. Costa Del Mar Ballast frames are all hand-assembled. Costa 400P - Plastic These lenses have earned a reputation for being impact- and scratch-resistant. They are made to handle the harsh environments all outdoorsmen face every day. Costa 400G- Lightwave™ Glass These are the polarized lenses that put Costa on the map and they still outperform the competition. They are 22% lighter and 20% thinner than the average polarized glass. 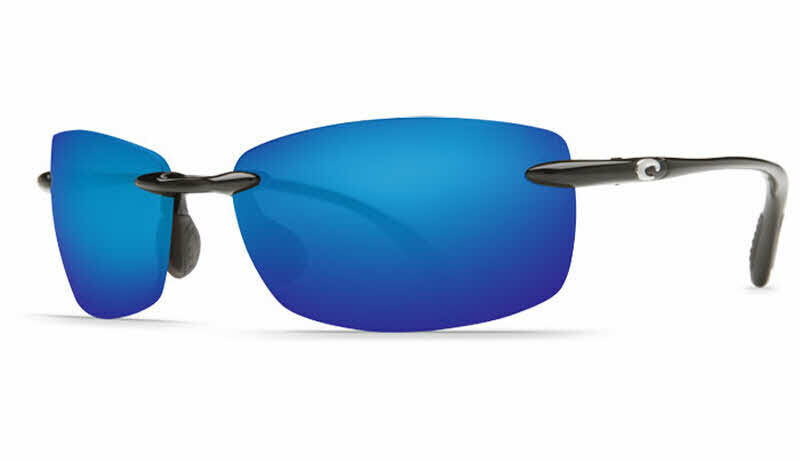 Costa 580P - Plastic These C-Wall™-coated lenses are lightweight, impact-and scratch-resistant and polarized. They outperform every other lens in its class with U.S. Patent 7,506,977. Costa 580G - Lightwave™ Glass This is Costa's most hi-tech polarized lens and it's 20% thinnner and 22% lighter than average polarized glass. Great sunglasses, last pair I bought at Bass Pro Shops and I like them that much Idecided I wanted another pair. This website was great and the frames I decided to buy are great and can't wait to get another pair !! The sunglasses are really light weight which I like but I have found the 580g lenses to be just that bit better. Wish could get the 580g lens in the ballast frame. Bought these as a gift for my wife. They arrived quickly and she loves them. This is my 4th or 5th pair of Costas from FramesDirect.com over the last few years. Will be back.